Q: Who Do I call to get bulk items (appliances, mattresses, furniture, etc..) picked up at my residence? Q: Does the garbage company pick-up construction material if I had renovations done to my house? Q: How do I find out what day my recycle is picked-up? A: You can call Town Hall at (803) 781-7050 to find out what week your pick-up is. Recycle is picked-up every other week “ALWAYS” on Tuesday. Q: What do I do to get a neighborhood streetlight fixed? A: Call either MCEC at (803) 749-6555 or SCE&G at (803) 929-6000 (the pole will have a serial number on it and SCE&G will need that number). Q: Who do I report a pothole to for repairs? Q: Who do I call if a traffic Signal is not operating properly? Q: Does the Town of Irmo have a noise ordinance? Q: Who can I report a barking dog to? Q: How do I get a business license? Q: I would like to rent my house, what do I need to do? A: Will need to fill out a registration at Town Hall, pay a $50 fee, and ensure the standards in the rental ordinance are followed by the renter. Q: Can I build and/or place an accessory building in my backyard? A: Yes – but you will be required to get a zoning permit from the Town Hall ($25 fee) and an approval based on the location of where the structure will go. Q: How do I go about reserving one of the picnic shelters in the Community Park? 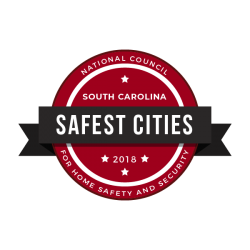 A: Can reserve one of the shelters through the website, or you can come to Town Hall to fill out the agreement and pay for the shelter along with a security deposit (please call (803) 781-7050 to ensure availability on the date desired). Fees vary based on residency. Q: Can I get fingerprint cards through the Town of Irmo? Q: Who can I contact to get a drainage ditch cleaned behind my house? Q: Who can I report a missing or damaged sign to? A: Please call the Town Hall at (803) 781-7050, so that the issue can be investigated, and a work order can be submitted to the appropriate agency. Q: Can I reserve the Irmo Municipal Building and how would I do this? A: Yes – The Municipal Building can be rented by designated agencies and organizations only. These agencies include (but is not limited to): In-Town Homeowners Associations, Schools, In-Town Businesses, In-Town Non-Profit (501-c-3) Organizations, etc. Churches can reserve but are not allowed to hold services in a public building. Also, no political rallies and/or events are permitted. Q: What is Irmo law regarding dogs running at-large? A: The Town of Irmo has a lease law that prohibits dogs from running at-large. Report these incidents to the police department during normal hours at (803) 781-8088, or after hours / weekends to (803) 785-2521. A: You can call Town Hall at (803) 781-7050 to find out what week your pick-up is. Recycle is picked-up every other week “ALWAYS” on Tuesday. You can print an Irmo Recycling Calendar from our website. A: Yes – The Municipal Building can be rented by designated agencies and organizations only. These agencies include (bit is not limited to): In-Town Homeowners Associations, Schools, In-Town Businesses, In-Town Non-Profit (501-c-3) Organizations, etc. Churches can reserve but are not allowed to hold services in a public building. Also, no political rallies and/or events are permitted.